NXP has launched a new generation of NFC tag chips that feature a range of built-in security features. The NTAG21x family of NFC Forum Type 2 tags features improved RF performance, a range of memory sizes, a chip serial number ASCII mirror, an NFC interaction counter, an integrated originality signature and password protection. “For the first time, these features address customer demand for multi-application support, fast serialization, smaller footprints and simple product authentication capabilities, thus enabling mass deployment in publishing, retail, advertising, consumer electronics, gaming and smartphone applications,” says NXP. The NTag21x family comprises four different products: the NTag210 with 48 bytes of user memory, the NTag213 with 144 bytes, the NTag215 with 504 bytes and the NTag216 with 888 bytes. A variant of the NTag216, the NTag216F, is also available. This offers a configurable field detection pin and a sleep mode and is designed for electronics pairing applications. 32-bit password authentication. This, says NXP, offers “a simple protection mechanism for data stored into the tag”. A 24-bit NFC counter, along with an ASCII mirror. This counts the number of interactions that occur between NFC devices and the tag and appends the total to a stored NDEF message. 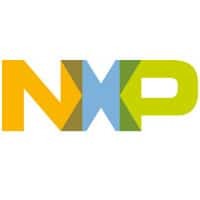 NXP suggests this can be used to improve usage analytics in smart advertisements and location based services. Integrated originality signature. This enables the detection of unauthorized NTag copies, “thus providing a simple but powerful product authentication method”. A new Fast Read command, designed to speed up tag registration in inline processes such as print media or product label manufacturing.